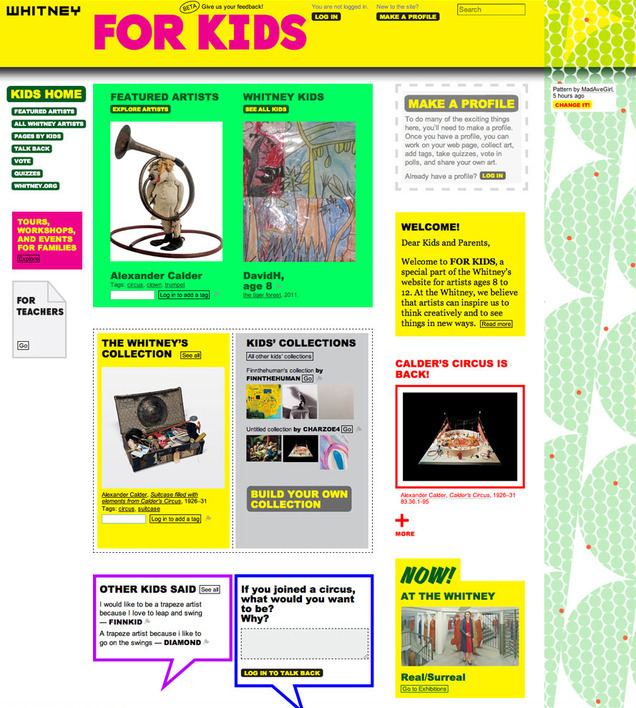 For Kids (2011-2014) was the Whitney Museum of American Art’s award-winning website for kids ages 8 to 12. Kids were invited to make a profile, share art, and learn about art and artists in the Whitney’s collection. During my two years working at the Whitney, I managed the website by publishing content to the web, moderating the online community, and writing art historical texts. I also spearheaded extensive user testing of website before its launch.